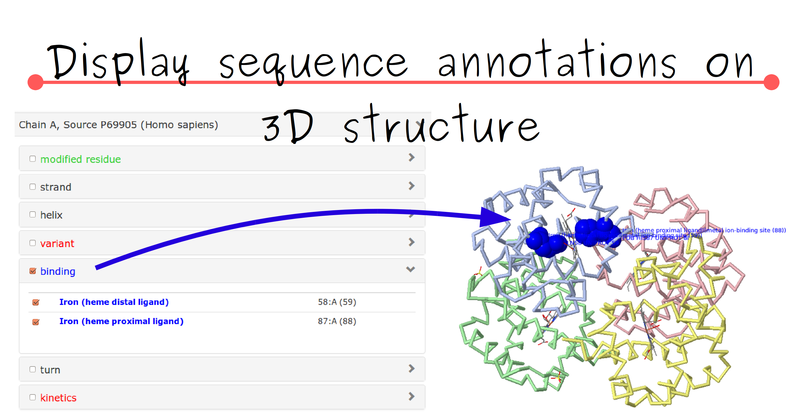 You can get a protein structure to display sequence annotations via a PDB id, a UniProt id, or a sequence. 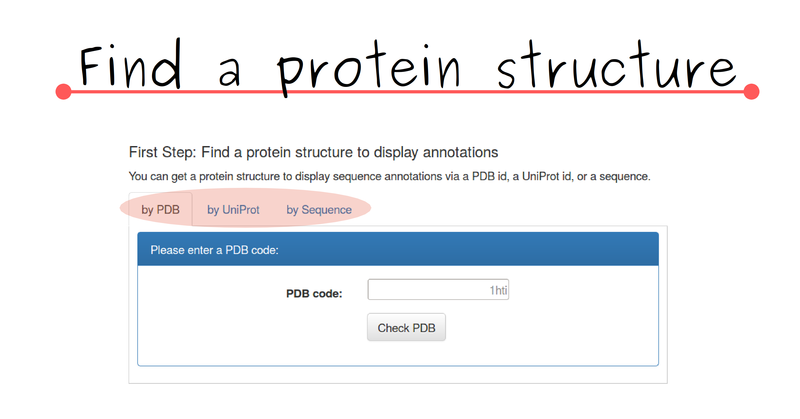 UniProt: a hub for protein information Nucleic Acids Res. 43: D204-D212 (2015). 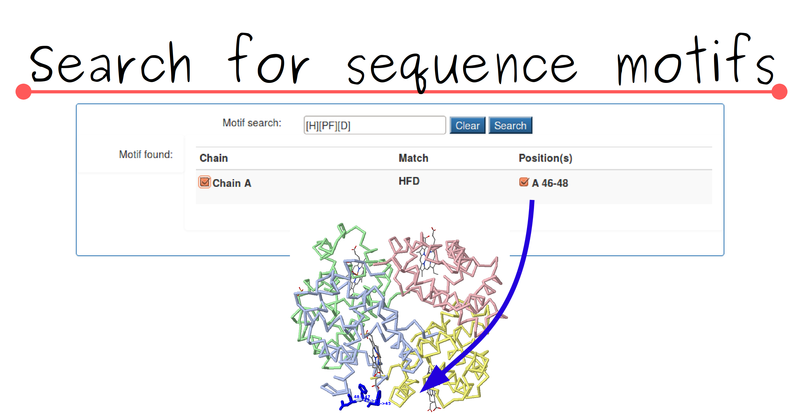 SIFTS database https://www.ebi.ac.uk/pdbe/docs/sifts/, see Velankar et al., Nucleic Acids Research 41, D483 (2013). The SIFTS database, maintained at the EBI, provides a mapping between PDB entries and a reference UniProt entry, as well as other datasources. BLAST tool: NCBI BLAST Download, described here: Camacho C., Coulouris G., Avagyan V., Ma N., Papadopoulos J., Bealer K., Madden T.L.. (2009) "BLAST+: architecture and applications." BMC Bioinformatics. 10:421. The BLAST tool is used to search for related UniProt entries and to map features of these entries onto the reference entry. 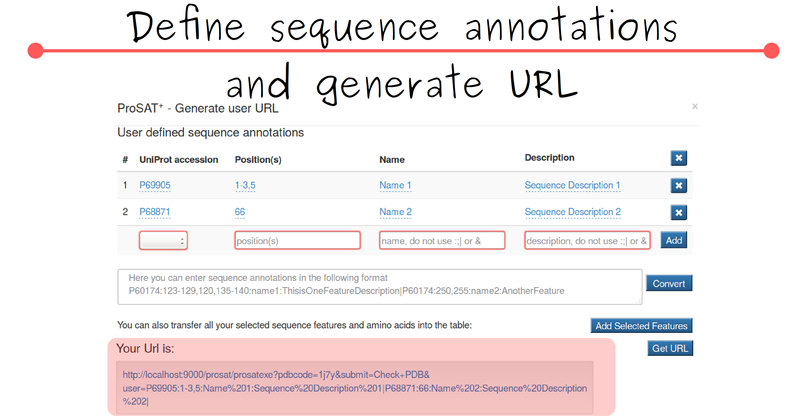 In addition the BLAST tool is used to find UniProt entries in case the user provides a sequence. From these UniProt entries PDB entries are mapped. 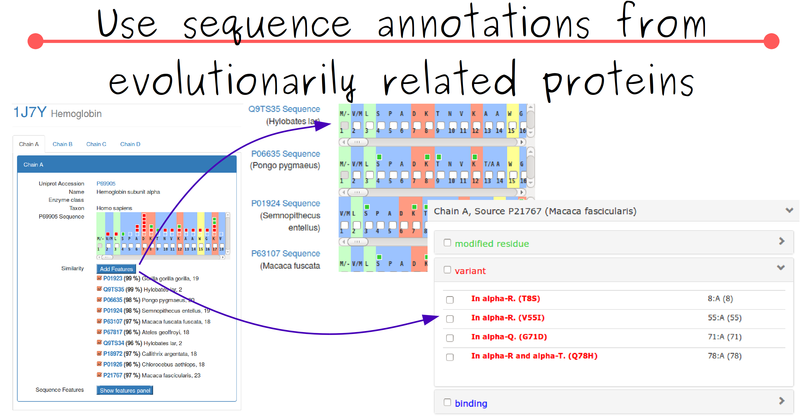 BioJava version 4.2 is used for pairwise sequence alignment of similar sequences found by blast. This alignment is done using a PAM250 substitution matrix, a gap opening penalty of 6 and a gap extension penalty of 1. Play framework 2.4 is used to build the interactive web application. Twitter bootstrap 3 is used to generate the HTML user interface elements. AngularJS 1, the jQuery plugin Sidr, and the Angular-xeditable bundle were used for better usability and layout of the webserver. Your browser does not support iframes, please click here to access the content. 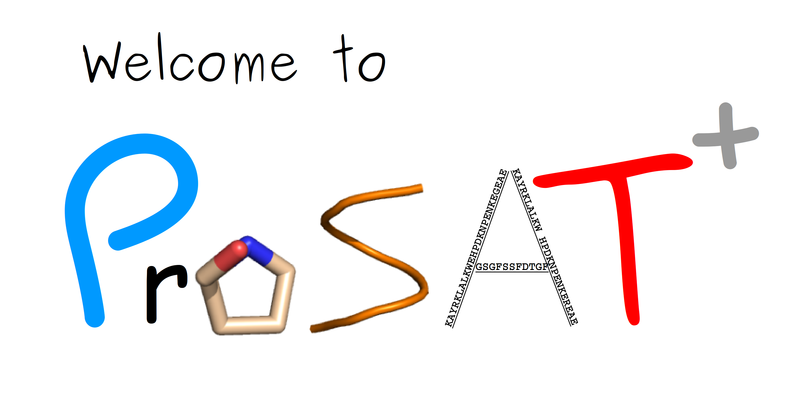 ProSAT+ was developed by Antonia Stank and Stefan Richter in the MCM group of Rebecca Wade at HITS gGmbH.